In Greek mythology the Titanomachy, or War of the Titans , was the ten-year series of battles which were fought in between the two camps of deities long before the existence of mankind: the Titans of Atlantis and the Olympians, who would come to reign on Mount Olympus. This Titanomachia is also known as the Battle of the Titans, Battle of Gods, or just The Titan War. It was fought to decide who would become the rulers. Greeks of the Classical age knew of several poems about the war between the gods and many of the Titans. The dominant one, and the only one that has survived, is the Theogony attributed to Hesiod. The stage for this important battle was set after the youngest Titan, Cronus (Kronos), overthrew his own father, Uranus, with the help of his mother, Gaia. Cronus took his father's throne after dispatching Uranus. He then secured his power by re-imprisoning his siblings the Hecatonchires and Cyclopes, and his siblings the Gigantes, in Tartarus. After freeing his siblings, Zeus led them in rebellion against the Titans. Hesiod, Theogony (8th or 7th B.C. 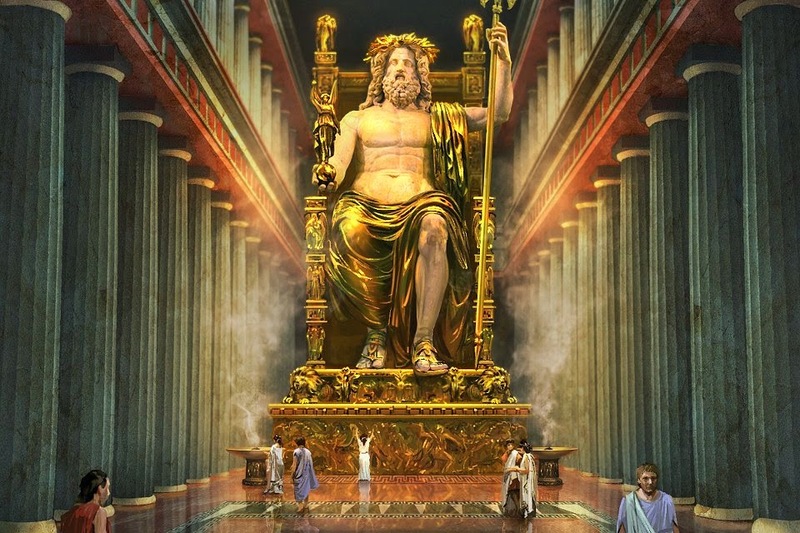 ): "The Olympian Lightener [Zeus] called all the deathless gods to great Olympos, and said that whosoever of the gods would fight with him against the Titans, he would not cast him out from his rights, but each should have the office which he had before amongst the deathless gods." Zeus then waged a war against his father with his disgorged brothers and sisters as allies: Hestia, Demeter, Hera, Hades, and Poseidon. Zeus released the Hecatonchires and the Cyclopes from the earth (where they had been imprisoned by Cronus) and they allied with him as well. 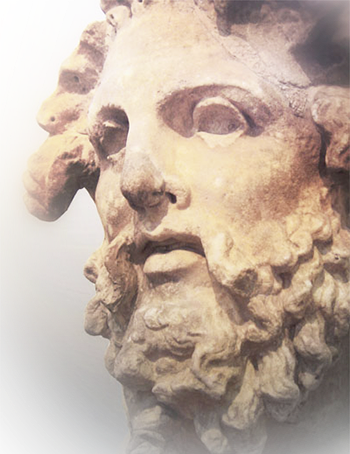 The Hecatonchires hurled stones, and the Cyclopes forged for Zeus his iconic thunder and lightning. Fighting on the other side allied with Cronus were the other Titans with the important exception of Themis and her son Prometheus who allied with Zeus. Atlas was an important leader on the side of Cronus. 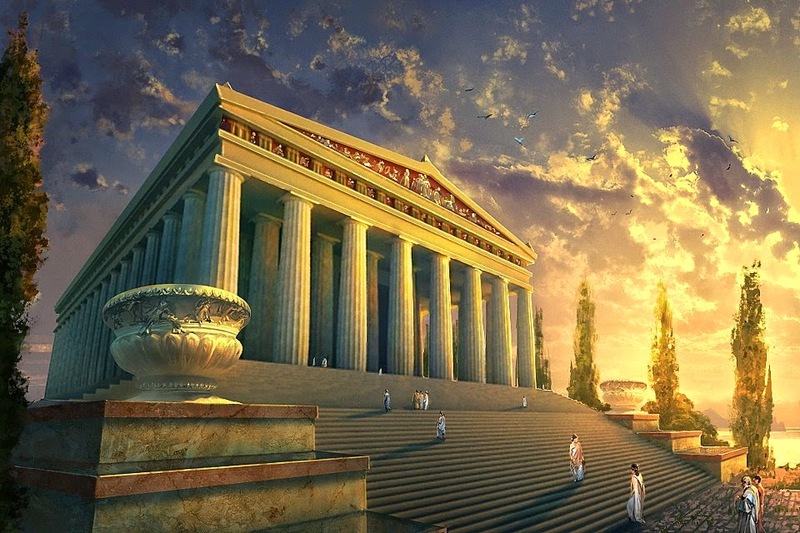 The war lasted ten years, but eventually Zeus and the other Olympians won, the Titans were imprisoned in Tartarus, and the Hecatonchires were made their guards. Atlas was given the special punishment of holding up the sky. In some accounts, when Zeus became secure in his power he relented and gave the Titans their freedom. 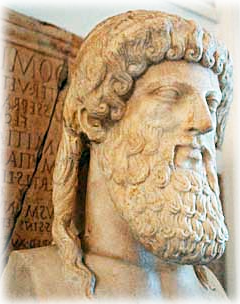 According to Hyginus, the cause of the Titan War is as follows: "After Hera saw that Epaphus, born of a concubine, ruled such a great kingdom (Egypt), she saw to it that he should be killed while hunting, and encouraged the Titans to drive Zeus from the kingdom and restore it to Cronus, (Saturn). When they tried to mount heaven, Zeus with the help of Athena, Apollo, and Artemis, cast them headlong into Tartarus. On Atlas, who had been their leader, he put the vault of the sky." Following their final victory, the three brothers divided the world amongst themselves: Zeus was given domain over the sky and the air, and was recognized as overlord. Poseidon was given the sea and all the waters, whereas Hades was given the Underworld, the realm of the dead. Each of the other gods was allotted powers according to the nature and proclivities of each. The earth was left common to all to do as they pleased, even to run counter to one another, unless the brothers were called to intervene. 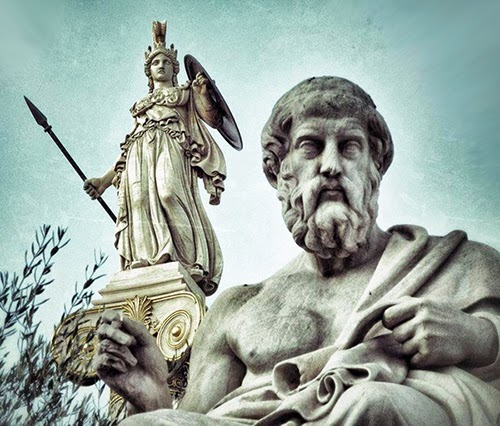 These Greek stories of the Titan War fall into a class of similar myths throughout Europe and the Near East, where one generation of a race or group of gods by and large opposes the dominant one, often the parent civilization. Sometimes the Elder Gods are supplanted. Sometimes the rebels gods lose, and are either cast out of power entirely or incorporated into the existing pantheon. Other examples might include the ancient Sumerian and Babylonian creation epic Enuma Elish, the Hittite "Kingship in Heaven" Kumarbi narrative, the struggle between the Tuatha Dé Danann and the Fomorians in Celtic mythology, The Æsir–Vanir War in Scandinavian Norse mythology, and the obscure generational conflict documented in Ugaritic fragments. 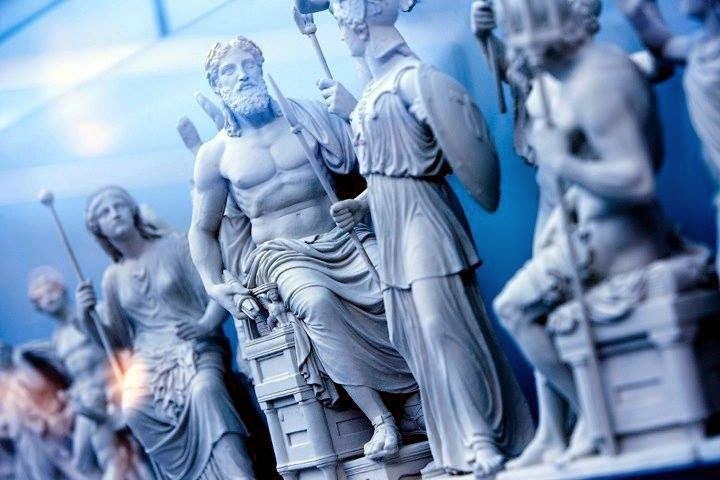 In the Cretan tradition, the Titans were portrayed as agrarian gods who lived in the vicinity of Knossos in Crete where they ruled over mankind during the Golden Age. At this time the Earth produced an endless bounty, and presented the Titans with the first sickle for the harvest. The Sicilian myths also speak of the Titans harvesting the first grain. In the Thrakian and Thessalian tradition, the Titans were portrayed as a barbarous tribe of giants who made war on the gods. They were almost indistinguishable from the Thrakian Gigantes of Pallene. These barbarian gods once snuck into Olympos, their faces smeared with with white chalk (titanos), and seized the child Zagreus who was seated on the throne. Certain local landmarks on the mountainous borders of Thessalia and Thrake were apparently identified with this Titan-story: including the river Titaressos whose murky waters were said to be drawn from the infernal Styx, and Mount Titanos or Titarios opposite Olympos whose deposits of white-chalk gypsum were the Titans' disguise. The individual Titans also turn up in the guise of obscure local gods with minor cults in the regions of central and southern Greece. Some of the Titans were also apparently gods of foreign import: Atlas and the fire-stealing Prometheus, for example, were frequently associated with the Anatolian kingdom of Lydia. The cosmic story of five Titans - four holding the corners of heaven - may be Phoenician in origin. Late Greek writers also equated the Titans with Set, enemy of the god-king Osiris in Egyptian myth.